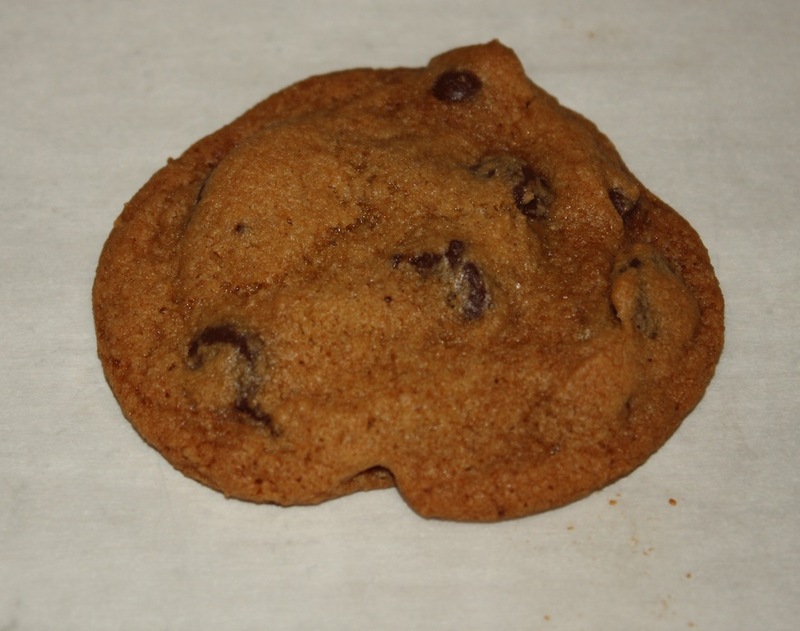 There are some people who have never met a chocolate chip cookie they did not love. I am not like this. I am very particular about the cookies I eat….I want them homemade (big surprise there!) and am usually conflicted in deciding whether to eat them piping hot out of the oven, at room temperature or straight out of the freezer…for those that made it that far in the first place. A dear friend of mine sent me a fabulous housewarming gift. I was thrilled when I opened up this envelope to find, ‘Tate’s Bake Shop: Baking For Friends’, by Kathleen King. I have wanted this book since it first came out in September 2012, but never got around buying it. I had trouble figuring out which recipe to bake first, until I saw Chubby Tates, her version of chocolate chip cookies. Kathleen’s approach is different from other bakers whose books I have bought. Kathleen does not beat the butter and sugars together until they are light and creamy. Rather she beats only to combine, a 2-minute difference. I was wondering how this would alter the cookies, but realized very quickly upon taking them out of the oven, that they resembled more of a Chip’s Ahoy type of chocolate chip cookie. The irony for me was when I shared the cookies with a group of people, several of them pointed out the Chip’s Ahoy analogy. However, there was one VERY big difference. The taste is nothing like the store bought variety. These cookies are divine. I will, happily, bring these on board with me any old time. Beat butter, sugar and brown sugar together just until well blended, about 1 minute. Beat in corn syrup. Add egg and egg yolk followed by vanilla. Blend in dry ingredients. Lastly, blend in chocolate chips. Scoop 1½ tablespoons cookie dough and place on prepared pans. I use a very generous ½ tablespoon cookie dough scoop to accomplish this. Bake in 325° oven for 16-18 minutes. Remove from oven and cool on pans.